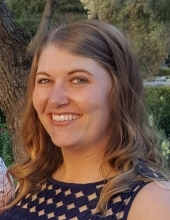 Nicole Reedy, age 34 of Des Moines, died on Saturday, March 23, 2019 at Iowa Methodist Medical Center in Des Moines. A funeral service will be held at 10:00 a.m. on Monday, April 1st at the Grinnell Christian Church with burial at Ivy Hill Cemetery in Malcom. Pallbearers are Mike Fleming, Josh Dayton, Jake Dayton, Adam Fleming, Austin Reedy, and Drew Nowachek. A luncheon will follow at the Malcom Auditorium. Visitation will begin at 12:00 p.m. on Sunday at the Smith Funeral Home in Grinnell and her family will receive friends from 2:00 p.m. until 5:00 p.m.
Memorials may be designated to the Nicole Reedy Memorial Fund to benefit children’s hospitals and mental health facilities, mailed in care of the Smith Funeral Home, PO Box 368, Grinnell, Iowa 50112. Nicole Rae Reedy was born the daughter of Ronald and Mary (Fleming) Reedy on July 26, 1984 in Grinnell, Iowa. She grew up in the same farm house that her dad was raised in near Malcom, Iowa. She attended BGM schools in Brooklyn and graduated from BGM High School with the class of 2002. After graduating from BGM High School, Nikki moved to Cedar Falls, Iowa, where she attended the University of Northern Iowa and received a BA degree in Family Services. After receiving her degree, she worked as an in-home counselor at Children and Families of Iowa. She later moved to Des Moines, Iowa where she made the decision to go back to school for a Master’s Degree in Clinical Mental Health Counseling from Adams State University. She worked at Clear Brook Counseling Professionals as a Licensed Mental Health Therapist. While working in Des Moines, she met a very special person with whom she has spent the past three years, Daniel Chavarria. They enjoyed doing fitness together, drinking craft beer, and going out for dinner. Nikki’s family was her life and she loved spending as much time with them as she could. Her nieces and nephews adored her and loved them back like they were her own children. Her brothers, Jason and Mark, were very close to her and were great influences on her life. Nikki will be remembered for her passion of helping others, someone who empowered and encouraged others to strive for their goals, for being pure and genuine, and for being courageous and resilient. Nicole is survived by her boyfriend, Daniel Ezequiel Chavarria of Des Moines, Iowa and his daughter, Adriana; father, Ron Reedy of Malcom; mother, Mary (James) Duke of Grinnell; brothers, Mark Reedy of Ames, Iowa, and Jason (Cara) Reedy of Scranton, Iowa and their children, Sadie, Violet, Nora and Joseph; paternal grandmother, Veda Reedy of Malcom; and her aunts, uncles and cousins. She was preceded in death by her paternal grandfather, Norman Reedy; and maternal grandparents, John and Barbara Fleming. To send flowers or a remembrance gift to the family of Nicole "Nikki" Reedy, please visit our Tribute Store. The family will receive friends from 2:00 p.m. until 5:00 p.m.
"Email Address" would like to share the life celebration of Nicole "Nikki" Reedy. Click on the "link" to go to share a favorite memory or leave a condolence message for the family.